ECOVIS Bondar & Bondar is a law company, member of ECOVIS International, a leading global consulting firm operating in over 50 countries around the world. We have been operating in Ukraine since1998 and we know the Ukrainian market and the people in it. We have long-established and continuous working relations with the Ukrainian state authorities. As a member of ECOVIS International, we have permanent access to international and interdisciplinary knowledge in different jurisdictions, which ensures that our clients receive the most realistic and balanced advice on cross-border and local matters. 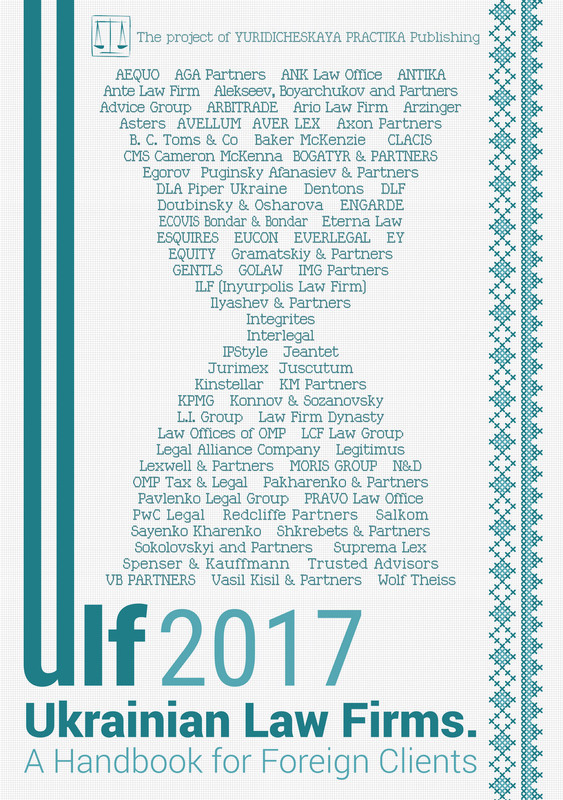 Our lawyers are highly qualified in diverse areas of law and possess excellent knowledge of Ukrainian legislation and international legal standards in the provision of legal services. ECOVIS Bondar & Bondar is a recognized law firm in Ukraine, whose partners are named among the leading lawyers in their respective practice areas according to international and Ukrainian legal directories. ECOVIS Bondar & Bondar focuses its practice on Corporate & Commercial Law, Mergers & Acquisitions, Antimonopoly & Competition Law, Dispute Resolution, Labor Law and Tax. The company represents clients in diverse economic sectors, including in aviation and transportation, insurance, energy, sport, real estate, banking and finance. According to estimates by local researchers, namely the Ukrainian Internet Association (www.inau.ua), the number of Internet users in Ukraine by March 2017 totaled 64.8% of the country’s population (the occupied territories of Crimea, Donetsk and Luhansk Regions are excluded from the research). The level of the Internet audience in Ukraine during the last 15 years has been constantly and steadily growing. Despite the late implementation of 3G mobile networks, the development of mobile platforms and wireless data transmission technologies is expected to further increase the numbers of this audience. So, the share of e-commerce within the national market is growing continually. In recent years a number of legislative acts were adopted in Ukraine to regulate the spheres of e-governance, public procurement, distrained property auctions, online business registration, access to public registers and other information. The development of such systems is carried out both by the State and independent volunteers’ projects (for instance, the ProZorro project — an electronic public procurement system which is accepted by the State as the basis to handle public procurements). On 3 September 2015 the Ukrainian Parliament adopted the On Electronic Commerce Law of Ukraine, which is absolutely new to Ukraine. The new Law was not passed in complete absence of legislation on E-Commerce. Both before and after the adoption of this Law, the participants of E-Commerce were subject to the Civil and Commercial Codes of Ukraine, the Laws of Ukraine On Electronic Documents and Electronic Document Control, On Electronic Digital Signature, On Consumer Protection, On Payment Systems and Money Transfer in Ukraine and others. However, E-Commerce businesses were forced to adapt or mimicry in the face of the rules which were designed without taking into account the realities of E-Commerce, and were based in the main on two basic forms in civil law transactions: verbal and written. The new Law was drafted with the essential participation of the market players and, to a great extent, reflects existing Ukrainian best practice and uses the forms that business has already chosen for the sale of goods and the rendering of services with the use of information and communication systems. Thus, the On Electronic Commerce Law of Ukraine has become the fundamental piece of legislation that rendered business with transparent “rules of the game”, which have been adapted to its particularities. The issues in the field of emission and turnover of electronic money are beyond the scope of the new Law and are subject to the authority of the National Bank of Ukraine. Unfortunately, in its attempts to keep the financial system of the country in balance, the National Bank of Ukraine still preserves a number of payment system limitations which effect the deceleration of further development of electronic payments. However, these limitations tend to mitigate. The key provision of the new Law is the definition of an electronic transaction and an electronic contract that was established at the level of the law and is equal to the provisions of the Civil Code of Ukraine. An e-transaction is defined as an action of a person focused on the acquisition, modification or termination of civil rights or obligations, conducted with the use of information and communication systems. An e-contract is defined as an agreement of two or more parties executed with the use of electronic means. The Law has defined the following parties of the transactions in the field of e-commerce: (1) the Seller — a person who sells goods, performs works or provides services using electronic and communication systems; (2) the Buyer — any person who orders goods, works or services; (3) the Supplier of the services of an intermediate nature — a person who provides data transmission and/or data storage services and the assigning of network identifiers services. It is important to emphasize that the Law is applicable strictly to commercial relations. The Law grants special attention to the provider of services of an intermediate nature and distinguishes him from the seller. Such a service provider may be the Internet services provider, the registrar of domain names, the owner of a website hosting private property sale ads, the owner of online stores, which is the only venue to host the sale of goods for other businesses (a common form in Ukraine) and others. Such a provider is not a party to the contract of sale of goods, works or services of the other vendor and, on the basis of Article 9 of the Law On Electronic Commerce, is released from liability for its quality, if he did not initiate the transmission of data and does not choose its recipient and cannot change the content of the contract. Thus, the Internet provider, the registrar of domain names etc. do not bear any liability for the actions of the Internet user or the owner of the site. The owner of the web-site for private ads shall not bear responsibility for the quality of goods supplied by the person who placed an advert on a web-site, etc. The Law On Electronic Commerce has established the order of execution of e-contracts which are deemed to be executed by means of exchange of electronic offer to make a contract and electronic notice on acceptance of such an offer. The Law prescribes the amount of information which must be exchanged by the contracting parties. The contract shall be signed by the parties through means of: Electronic Digital Signature; Electronic Signature in form of single identifier (typically generated by sale-of-goods system); Analogue of a handwritten signature (facsimile reproduction of signature, another analogue of a handwritten signature — the least common form). Under the new Law, an e-contract executed in accordance with the established rules, is deemed to be equal to a contract made in writing. This provision is important for further use in business transactions under the laws of Ukraine, where the written form of contract prevails. Since the Law On Electronic Commerce does not provide for any special or particular means of remedies for the parties of e-transactions, the remedies are applied under the general rules existing under the civil and/or economic regulations. Section 3 of Article 6 of the Law On Electronic Commerce allows the parties to design their own rules of ethics in this sphere. The main way to seek remedy is to file a claim to state courts in an ordinary judicial procedure. One of the key problems in these procedures in Ukrainian courts remains proof via evidence in a dispute, arising from relationships established with the use of electronic means. The courts, according to the existing Ukrainian rules of procedure, accepted the material or written evidence, oral testimony, expert opinion, etc. However, neither courts nor the parties of disputes were ready to use electronic evidence. That was particularly evident in domain disputes. The essential novelty is that the Law On Electronic Commerce equates the electronic document (notice) associated with the electronic transaction with written evidence in court when considering a matter between the parties of an e-transaction. Despite the fact that the procedural codes governing the order of dispute resolution were not respectively amended, such novation grants the participants of e-commerce an opportunity to defend their rights, which is equal to the one that the parties to other civil transactions have. After enactment of the Law On Electronic Commerce the electronic evidence, including electronic correspondence, becomes more usual and acceptable. For example, the Kharkiv Economic Court of Appeal in its resolution of 5 May 2016 (case No. 922/5978/15) ruled to accept as evidence Skype correspondence between the parties which, in turn, formed the grounds for the decision in dispute. Likewise, the Economic Court of Dnipropetrovsk Region accepted the evidence existing only in electronic form as proof of the agreement (case No.904/146/17, decision of 28 February 2017). These decisions share the same basis, namely, the provisions of the Law On Electronic Commerce and collateral amendments implemented into the Ukrainian Civil Code and other pieces of legislation. At the same time, the participants of economic turnover, both entrepreneurs and customers, often do not observe the basic requirements of the Law On Electronic Commerce, and thus forfeit the means for legal remedies. The most common breach by entrepreneurs of legislative requirements is the lack of contact data on the web-site in a scope that is sufficient to draft and lodge a claim against the entrepreneur in accordance with Ukrainian procedural rules. This gap often becomes an obstacle for the majority of inexperienced customers. The Ukrainian of e-commerce market has, to some extent, adjusted to the new regulations. Nevertheless, there are some gaps in state regulation of legal remedies, especially in the field of protecting consumers rights. For the vast amount of officers of justice and law-enforcement this sphere remains terra incognita. Thus, the basic direction in further development of the legal support of the e-market in Ukraine is improving the justice system and the means for protecting the rights of customers.